Todd Wooten has tried more than 165 cases throughout his 23-year career and credits his ability to achieve positive outcomes for clients to his commitment to preparation and dedication to understanding his clients’ unique circumstances. 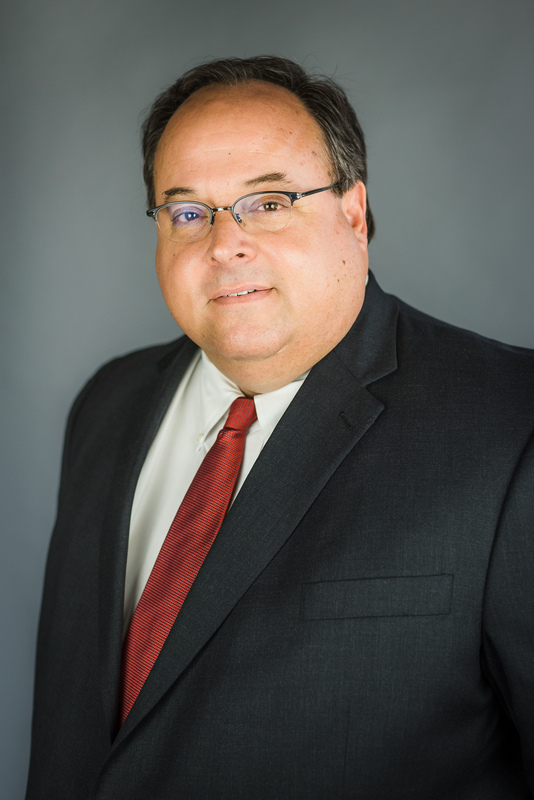 As a veteran commercial trial lawyer, Todd has successfully managed complex litigation and negotiated dispute resolutions for individuals and businesses in a variety of industries, ranging from insurance, health care, finance and construction to transportation and real estate, among others. As a leader in the firm’s trial practice, Todd handles cases involving all types of business disputes, including professional liability, product liability, personal injury, insurance defense, construction litigation, trucking litigation, employment litigation and financial services litigation. He has first-chaired many complex cases in federal and state courts and offers clients extensive experience in mediation and arbitration. Todd often speaks and writes about liability issues and commercial litigation. He has also received numerous awards for his trial successes. The Arc Arkansas, which provides support, housing, advocacy, education and leadership to people with disabilities and their families. Obtained a $1.3 million dollar federal jury verdict/judgment on breach of contract and Arkansas Deceptive Trade Practices Act claims, along with a defense verdict on a $2.4 million dollar counterclaim for breach of contract, for a client from the United Arab Emirates. The verdicts were against a local technology company, its CEO, vice president and the original holder of a patent for an autologous point-of-care medical product and process for treatment of non- healing chronic wounds. The cause of action arose from breach of an international license and distribution agreement and its amendments. Lead trial counsel to two ballot question committees in the trial of an original action before the Supreme Court of Arkansas regarding proposed constitutional amendment. Obtained summary judgment for psychologist against claims of medical negligence, breach of fiduciary duty, breach of contract, breach of confidentiality, tort of outrage, deceit, defamation, invasion of privacy, civil conspiracy and punitive damages. Trial counsel to commercial refrigeration manufacturer against product liability claims. Defense of class action against industrial supplier for alleged failure to pay employee benefits. Representation of insurer in complex multiparty coverage litigation arising out of multiple underlying tort claims and federal criminal charges against a religious organization for alleged multistate, multiparty sexual, physical and emotional abuse of minor members; Mann Act violations; negligent hiring and supervision by business entities; and claims of corporate alter ego of multiple businesses for policy period exceeding a decade. Representation of medical review organization, its chief medical review officer, and medical review assistant against claims for alleged false test result resulting in lost professional employment. Trial counsel in defense of bank against lender liability claims for negligence, constructive fraud, breach of contract/unjust enrichment and breach of fiduciary duty. Trial counsel in defense of national leasing company against claims of catastrophic personal injury for oil rig’s allegedly defective lock-out/tag-out system. Trial counsel in defense of nursing home and related entities for allegations of wrongful death and medical malpractice. Representation of agricultural supplier regarding regulatory issues and third-party claims from petroleum spill. Defense of former employee for alleged violations of the Computer Fraud and Abuse Act and breach of contract. Trial counsel for individuals, small businesses and Fortune 500 companies for defense of wrongful death and personal injury claims. Defense of national retailer from premises liability claims. Defense of trucking companies from wrongful death and catastrophic injury claims. Defense of automobile dealer from wrongful death and negligent entrustment claims. Defense of officer of automobile dealership from multiple wrongful death, catastrophic injury and fraudulent transfer claims. Trial counsel for insurers for claims of breach of contract, bad faith, uninsured motorist and underinsured motorist claims. Representation of a manufacturer in tax controversy concerning determination of worker status for purposes of federal employment taxes and income tax withholding. Representation of law firm in declaratory judgment action arising from attorneys’ fee award from settlement of class action. Representation of national banks in breach of contract, foreclosure and receivership litigation. Representation of bondholder's trustee in involuntary receivership action against real estate developer. Representation of publicly traded telecommunications company in variety of litigation matters, including catastrophic tort claims, contract, construction, freedom of information act issues and real estate. Representation of business in breach of contract, theft of trade secrets and non-compete litigation. Representation of employee against claims of violation of non-compete agreement and breach of severance agreement. Representation of heavy equipment dealer for alleged claims of breach of contract and fraud. Representation of real estate brokerage, principal broker and executive broker for alleged claims of negligence, fraud and civil conspiracy arising from development of real estate subdivision. Representation of business owner against allegations of money laundering and structuring violations. Representation of business for allegations of deceptive trade practices act violations. Representation of investors for claims of securities fraud against grocery cooperative. Representation of estate and trust for defense of wrongful death and probate litigation. Representation of insurance agents against alleged regulatory violations and claims of breach of contract, fraud and deceptive trade practices violations. Trial counsel in defense of design professional for claims of defective design and installation of industrial waste water system. Trial counsel in defense of general contractor for claims of defective design and installation of subdivision waste water system and construction defect to home. Representation of hotel owner and insurer regarding claims of general contractor arising from remediation of fire loss. Trial counsel to general contractor for claims arising from remediation of fire loss against property owner for breach of contract, unjust enrichment, promissory estoppel, fraud, violations of the Arkansas Deceptive Trade Practices Act and punitive damages.